I got this AVA Face & Body Scrub in my September Fab Bag. The Fab Bag crew always tries to carpool emerging brands into their journey so that the audience can be introduced to new launches in the market. 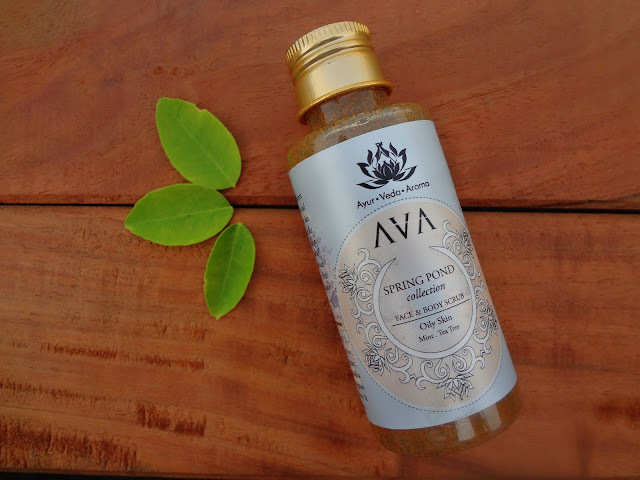 AVA is a startup Natural Skincare Brand which focuses upon providing organic and high quality products. They claim to be the 1st brand in India which works on pure Ayurvedic formula using modern technology of stem cells and natural ingredients. They are currently associated with J W Marriott and Shangri-La. Benefits: AVA gentle gel scrub helps to exfoliate the dead cells, ingrowth, dirt, excess oils from the surface of the skin with finely ground apricot and walnut shells leaving the skin smooth and brighter with oriental notes of lemon grass and tea tree which helps to control sebum and mint along with citric oils help to clarify the skin. Price: INR 300 for 80 grams of product. My Skin Type: Before going into the review, I shall first brief out about my skin so that you can get the wider picture. I have an acne prone skin which is somewhere between combination to oily. It is highly active in summers, producing excessive sebum. But in winters, it gets dry, stretchy and slightly flaky! I have slight faded scars as well. 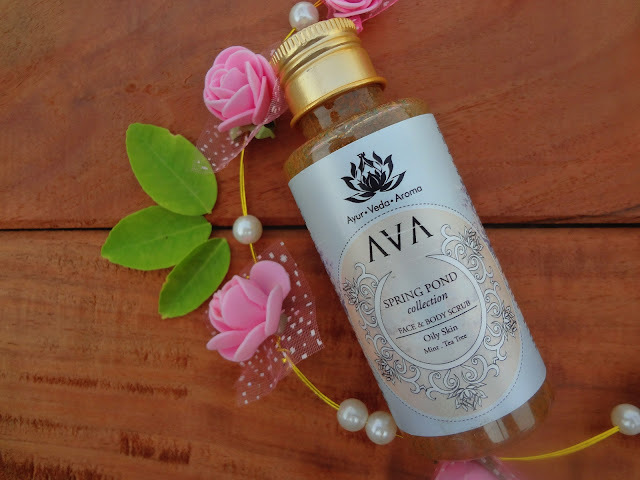 Packaging: AVA Face & Body Scrub comes in a plastic bottle with a golden shiny screw open lid. Also, there’s a plastic stopper placed as well so that the product does not spill. Since my face is never flawless and always gets one or two bumps here and there, I avoid facial scrubs for the fear of aggravating them. So whenever I receive scrubs, I employ them for my bodily purpose. But when I took this one along with my shower, I gave it a go because my mind was like “It’s cool, I can make it work out via gentle scrubbing motions”. The fragrance is citrusy and the ingredient list made me recollect that it’s that of the lemon grass. The texture of this scrub is thick and I love the fact that instead of a cream base, it has a gel base, which makes it appropriate for the oily skin type. The consistency is thick and the granules are so finely ground that it hardly feels harsh onto the face. 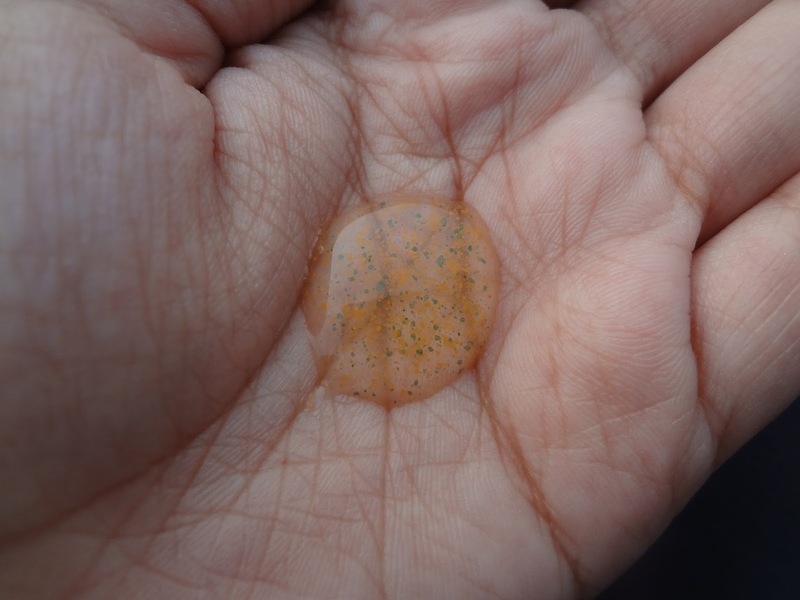 It gives mild exfoliation and brightens up the face post scrubbing procedure. I also noticed that unlike the cream based scrub; this does not overtly moisturize the skin but removes excess oil and leaves the skin soft to touch. On application, it does give a slight cooling sensation due to mint. Final Verdict: I like it so much that I am never gonna use it for body, but save it exclusively for my face! Till now, I’ve always ran away from scrubbing my face because whenever I did, it would trouble my pimples. This one is like the perfect scrub that suit my skin so perfectly well as if customized keeping my skin’s behaviour.